Get to grips with the fundamentals of User Experience Design. Design and market digital products your customers will love by learning the fundamentals of user experience design. Get to grips with UX design concepts and methods – from web accessibility and interface design to user testing and more. Communicate your product and services clearly to your customers by learning how to think and interact like them. Learn how to build well-functioning digital interfaces and services that meet your customers’ needs. Delivered in a hands-on, immersive style, with practical exercises to help embed the end-to-end UX design process. User testing and validation of concepts. Wojtek has worked in the UX industry for more than 10 years, supplying digital products and executing digital transformation programmes. His client list includes the Scottish Government, NHS Scotland & England, and financial institutions such as RBS, Aegon and Hiscox. 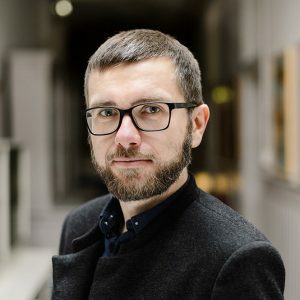 Having transitioned to teaching from consultancy and team leadership at one of Scotland’s most-awarded digital agencies, Wojtek offers a wealth of insight on working methods and industry specifics. Fill in the form below to book your place. You can choose whether to pay by card or request an invoice.